The temperature had plummeted to 70 degrees, with a light breeze. Welcome, September. There was almost an hour of daylight left, the clouds were bubbled and layered, and the air was very sweet at my altitude. I’m a horse and a half tall, riding Namaste. He came here 5 months ago from a hard place (read here) where he had fallen between the cracks. There’s peace in his eye now, and I’m slowly asking his strength to return. He’s a sensitive gelding who thinks too much, so while we walk, I keep the conversation going. He likes to talk about himself, like all good horses do. So I ask him about his walk: big steps, lateral steps, supple and forward all together. We talk rhythm, and rib stretches, and the softest questions are about that right side of his pol. It’s a perfect ride. This too shall pass. It’s been 20 years and those words still ring in my somewhat deaf ears. I had a trainer used to say it all the time, especially if I was in a pit of despair about whatever my current riding drama was. My horse would be confused, my hands would pull, and our frustration was nearly blinding. I wanted it, whatever it was that week. It was like teen angst, only I wasn’t a teenager. Awkward! And she said it again, This too shall pass. It felt dismissive, but it wasn’t, she just had a larger view of things. They were the same words given when I did something really well, only with a chuckle then. She gave success and failure the same measure, after all, they are different sides of the same coin. I learned it from her, and tonight I say thanks again. Two boarders were riding with me, both were giving soft praise, laughing, trotting lightly past us. No boom box tonight, instead the music of rhythmic hooves, blows and snorts, praise and laughter. Is Infinity Farm such an ethereal place that all horses and riders dance like angels? Hardly, not by a mile. Both riders are on the rebound from falling in a hole. That’s what I call being given an opportunity to refine one’s approach to riding. It’s uncomfortable but not terminal. If there was a graph of the ups and downs of training, it would look like a heart beat on a monitor. Because ups and downs are a sure sign of life going on. The sun eventually gets low and the breeze settles. Namaste has had more than a few bad days in his life, just being a horse living with humans. I am sure there are natural born riders out there, but I’m not one of them. This too shall pass, this perfect moment, like all the other less-than-perfect moments that came before. Maybe it isn’t really about good or bad, so much as making friends with this process of learning to ride. Who ever said it was easy, to climb on top of a sentient creature, 1,000 pounds strong and find partnership in a trot, or a flying change, or any other movement in unison? And as good as it is to have a good ride, it can be even better to have a less-than good ride, I’m a little excited for you. It isn’t that you or your horse have fallen short somehow. 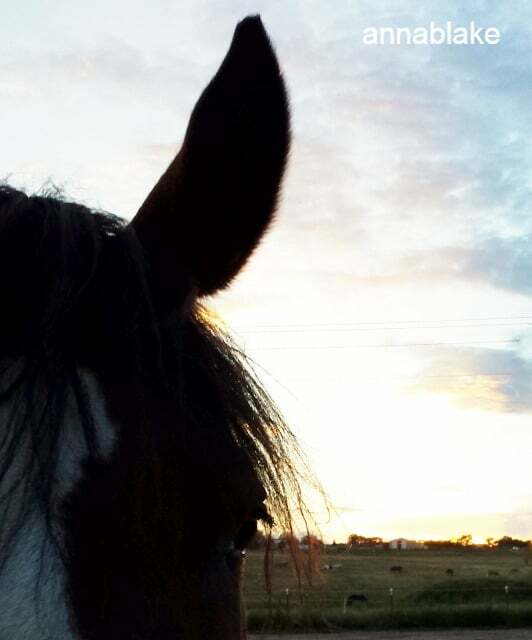 It’s an opportunity to go back to the basics, the warm home-place to begin again, and each time we practice basics, maybe learn a deeper understanding of ways to help our horse, and ourselves. Riding is hard. Can we all agree on this one point? A whole lot of riding is counter-intuitive. On top of that, the degree of difficulty is increased by our personal degree of desire. None of us is short on desire, are we? Most of us are fairly clear that fighting our horse doesn’t get the best work. We are always training either resistance or release, and release makes for a happy horse. Fighting ourselves is no different. The more we flog ourselves for not being perfect, the more energy is wasted heading the wrong direction. If you have evolved enough to not blame your horse, good for you. Now, give yourself a break, too. Riding is hard, and this too shall pass. You seem to have an amazing capacity to know exactly where I am in my riding journey and what I need to hear. Thank you! Or maybe we are all more alike than not. This is lovely, and an excellent reminder that horsemanship is a never-ending journey. There is no such thing as being “finished.” And that’s why it’s fun! Yes life, like riding, is difficult. And life, like riding, is worth the effort. All the fear, hard work, valleys and peaks are well worth it to get to share our lives with the people and animals we love. Great post. So eloquently written, and so close to home for me and my mare. Between my injuries and her having a hard time with a move to a new facility, we are back to basics. Groundwork, lots and lots of groundwork. I had my first lesson in months yesterday and it was all a the walk. I’m so glad to hear Namaste is doing well and in good hands. I just read Namaste’s story. Already in a dark blue mood here, because this morning my husband put down his old partner of 20+ years. At least he died here, at home, never abandoned or “moved on.” Small blessings. Happy tears that Namaste was rescued…. Bless you for keeping him, and helping him today. They leave a big hole, my sad condolences.